Thomas Wright was local historian, author and the last private school master in Olney in this period. He was born on 16th May 1859 at the family home at No.10 High Street South, which was later to become his Cowper School. 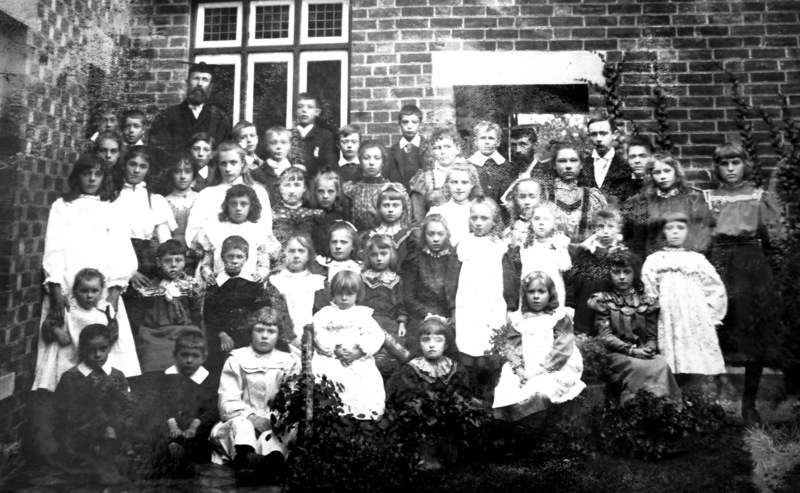 Thomas’s own schooldays began with a Mr G Sawkins and then a Mr William M Farrow, but the location of their educational establishment is unknown. Later Thomas went to Walter Pennington Storer’s school at No. 75 High Street, but with the death of its founder in 1867, he became one of the first pupils of ‘the corpulent and scholarly, Mr John Kidd (who unfortunately wrecked his prospects by intemperance) when he founded his Cowper School at No. 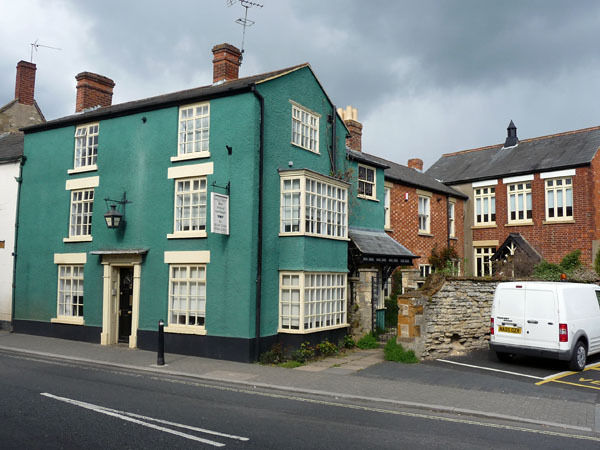 8 High Street. Thomas must have thought highly of his various school masters, as he determined to become a schoolmaster himself and at the age of 14 was placed, as an articled pupil for five years, at the Buxton College in Forest Gate, London in 1873. 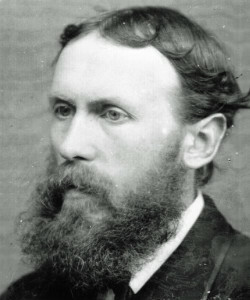 In January 1880 he became a tutor at Pitman’s College, Blackheath, but was not happy there so returned to Buxton College. 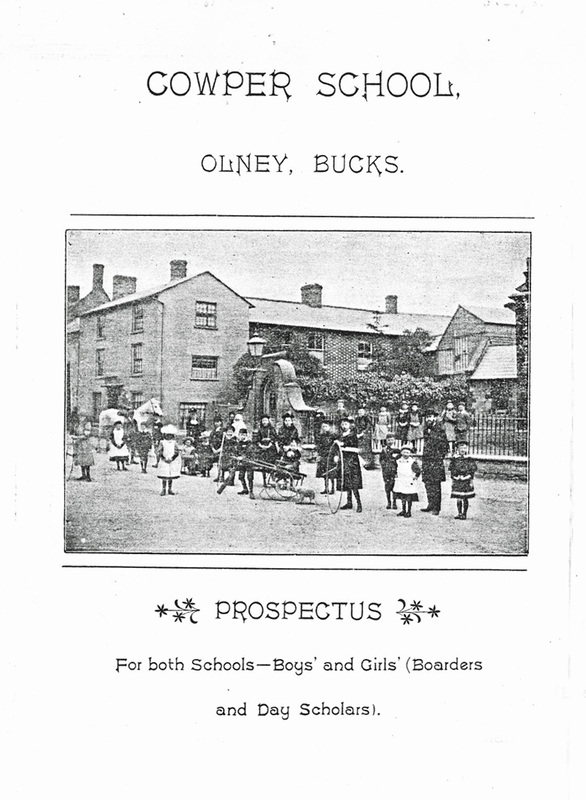 In the autumn of 1882, and at the age of 22, Thomas returned to Olney and opened his private school, calling it Cowper School. Two years later he married Miss Angelina Edwards of Bedford, and with her help the school prospered, having at one time 50 pupils. He also gave private lessons in the evenings. 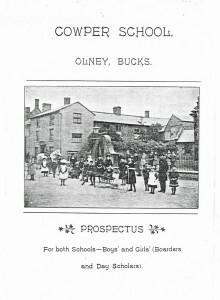 It was the first private school in Olney to take girls as well as boys. Mr and Mrs Wright would take their pupils out to the villages and give them lessons on history and architecture in the shadows of the ancient churches. Mrs Wright was a good botanist and would instruct the children about the local flora on ‘field trips’ to Yardley Chase. Click any of the following seven images to obtain an enlarged image. 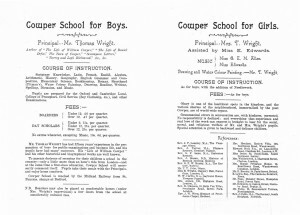 By 1898 the Cowper School had so prospered that Thomas was obliged to build a new schoolroom – ‘a large and handsome building’ – as a wing to his house. A photograph of the interior was taken on the opening day, which included himself and his wife Angelina, Monsieur Le Guicheux the French master; Dr Righton the Music master and Miss E. Edwards, later Mrs E. Sowman, and sister of Mrs Wright. We have been very fortunate in obtaining a copy of the photograph from June Harris for use on this website. It is reproduced below. Photograph kindly provided by June Harris. 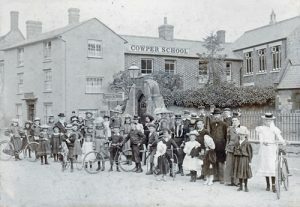 The following photograph of Thomas Wright’s Cowper School was taken around 1900 with members of the staff, pupils and family assembled in the main highway outside the school. 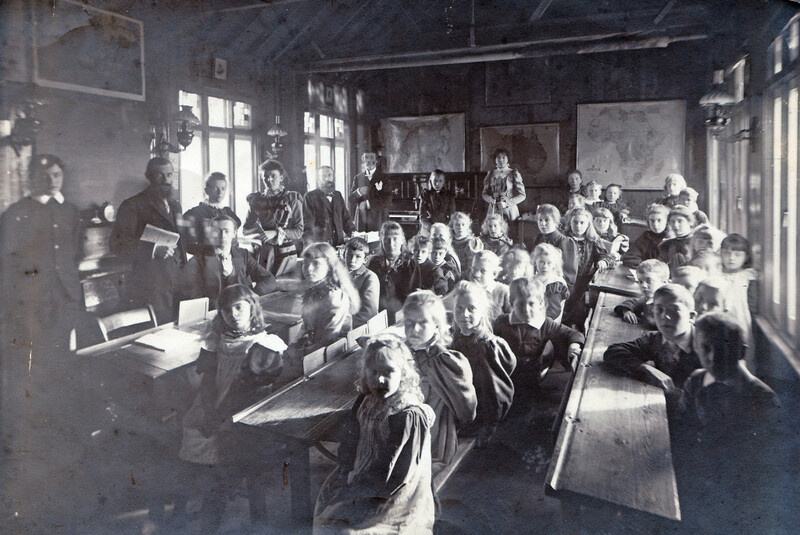 The ‘new schoolroom’ is situated on the first floor in the taller building at the rear of the property. with members of the staff, pupils and family assembled in the main highway outside the school. 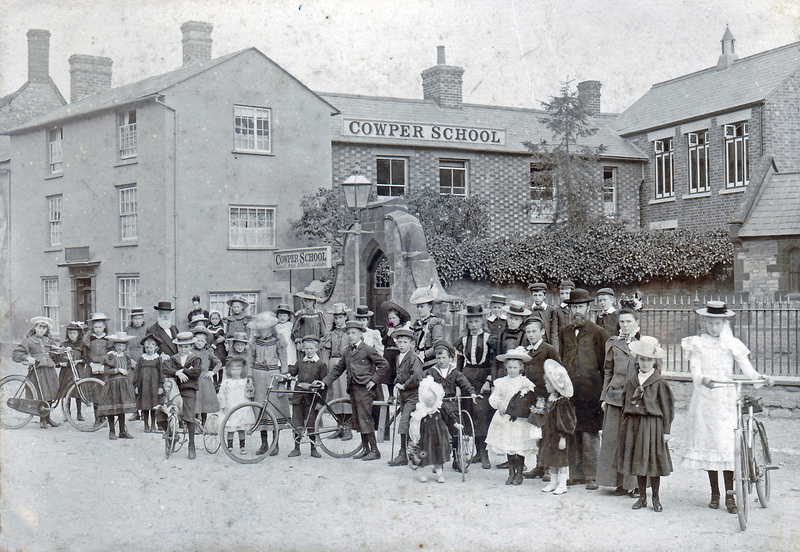 As well as local children, the Cowper School took in boarders, but because of the Wright’s own growing family these were ‘boarded out’ in local houses. Mrs Wright was particularly solicitous regarding their welfare. 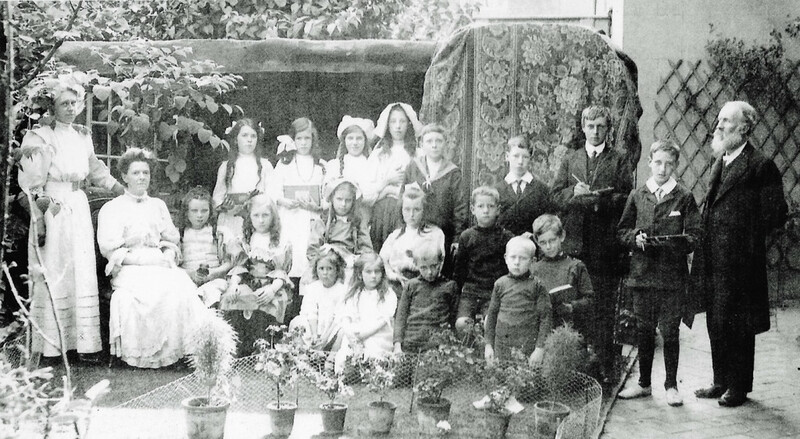 A very attractive photograph of teachers and pupils in the garden of the Cowper School. 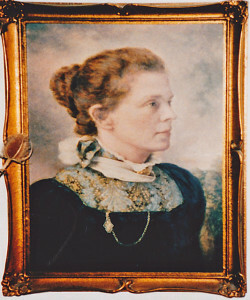 The photograph was provided by Carol Boyd, the third daughter of Ken and Betty Fairey (nee Sowman). The names come from Betty Sowman’s own notes. Elsie Andrews, Ron Sowman, Claude Chennells, Hector Farrell, unknown. 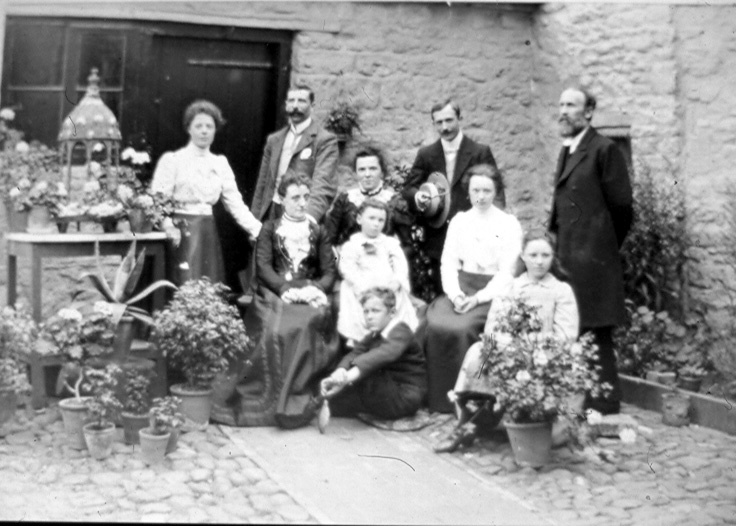 Front row (kneeling: Betty Sowman, Sybil Paggett, Phil Sowman, Arthur Sowman, Jack Sowman. Staff: Miss Amy Orpen (standing), Mrs Angelina Wright (seated) and Mr Thomas Wright (standing). 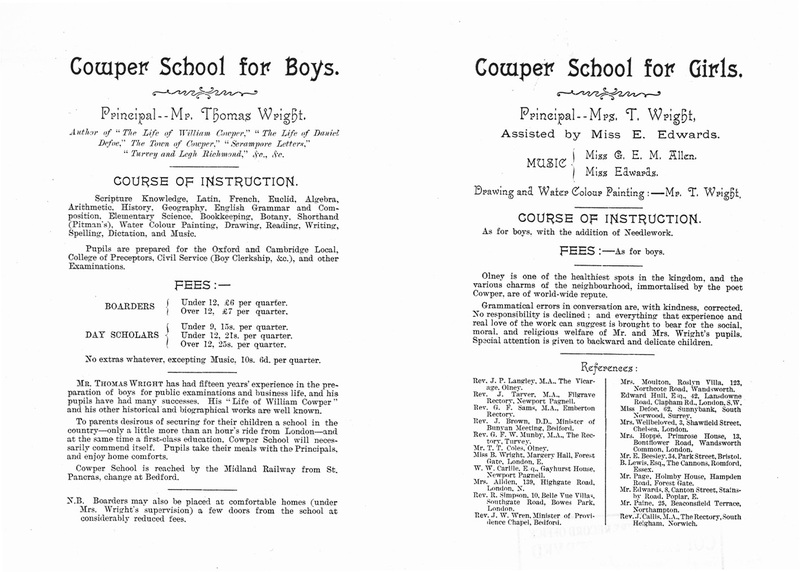 Thomas Wright kept his Cowper School for thirty three years and gave it up on 26 March 1915. On 7th June 1922, Thomas Wright relates in his autobiography that Mr W.M. Farrow, his old schoolmaster visited him, with his daughter. He was in a wheelchair, in fairly good health, but died two years later on 17 February, aged 85. Only a limited identification (from June Harris) is available. Standing: M. Le Guicheux (second on left), Thomas Wright (far right). Seated: Angelina Wright (centre), Una Wright b.1896 (centre – in white dress). Thomas Wright died on 3rd April 1936 aged 76 years. It is planned to add two more installments in due course covering the British School, sited in Weston Road, and the National School, in High Street South (now better known as the Church Hall).